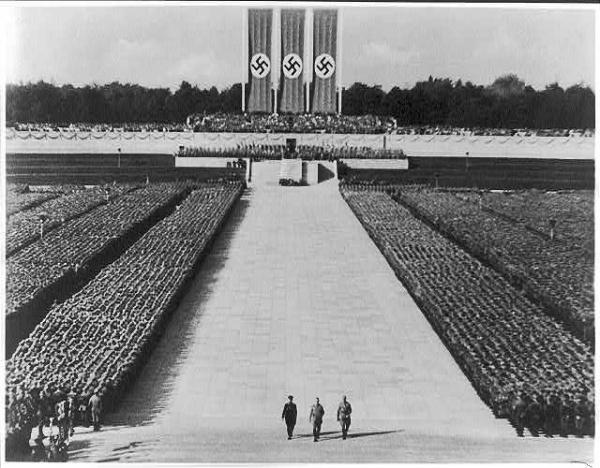 At the Nazi party rally of 1935, Hitler signed the Nuremberg Race Laws. The laws come under two different headings, "The Protection of German Blood and German Honor" and "The Reich Citizenship Laws"3 The first section was used to determine exactly who was identified as a Jew. Under the law, a person was considered a Jew even if they did not practice the Jewish faith. A "full-Jew" was defined as an individual with three or more Jewish grandparents.3 A "half-Jew" or "mischling", was an individual with two Jewish grandparents.3 A person with one Jewish grandparent was a "quarter-Jew" or "mischling of the second degree".3 Charts were handed out explaining the laws. 4. The Jewish Virtual Library, The Reich Citizenship Law: First Regulation.